A group of Democrat lawmakers is pressing the government's chief ethics agency for answers on Commerce Secretary Wilbur Ross's financial disclosures. The request to the Office of Government Ethics was prompted by a story in Forbes last week that raised the possibility that Ross should have disclosed assets worth $2 billion before his confirmation earlier this year. 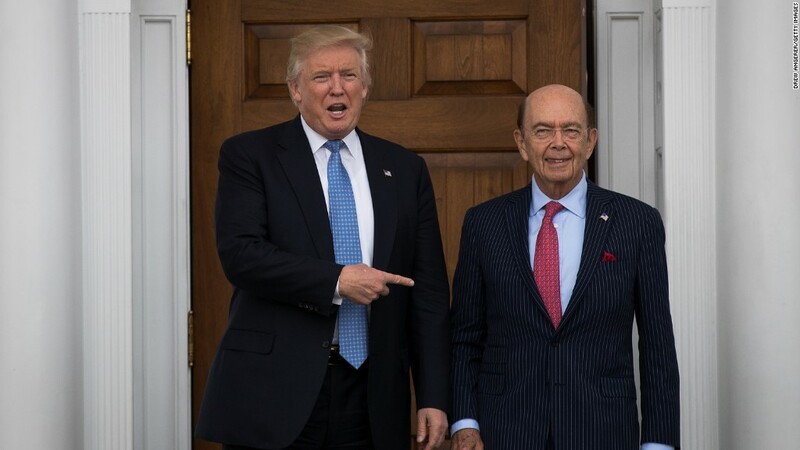 "It is imperative that Congress and the Office of Government Ethics know the full extent of Mr. Ross's holdings to ensure he is not putting personal gain ahead of the interests of the American people," the six lawmakers, led by Senator Richard Blumenthal, wrote to David Apol, acting director of OGE. Apol did not reply to an email seeking comment. OGE helps evaluate whether appointees have resolved potential conflicts between their government roles and their financial holdings. Although OGE doesn't have authority to investigate, it can refer matters to inspectors general and the Department of Justice. At issue is whether Ross should have disclosed $2 billion of assets Forbes said he transferred to a trust. The Democrats want to know when Ross moved the money and whether he controls the trust. Those details will help determine whether Ross possibly violated disclosure rules and conflict laws. In a statement, the Commerce Department said, "It is unfortunate the inaccuracies in the Forbes story have created the confusion expressed in this letter. The secretary remains committed to the highest ethical standards, and continues to work closely with Commerce ethics officials in service of the department's mission." Canter pointed out that OGE's financial disclosure requires appointees to list income received above $200 within the reporting period, which in this case includes all of 2015 through December 19, 2016. Even if Ross transferred the assets before the election, he needed to report any income from those assets in that time period if it exceeded $200. "At the risk of stating the obvious, $2 billion is not a rounding error," Senator Blumenthal said.